Michelle enjoys working at Asbury largely because of the coworkers who share the same love for the students and the desire to help make their experience at Asbury the best it can be. As the Assistant Director of Development Services, her work involves scholarship reporting, gift processing, fulfilling data requests and maintaining the department’s database. 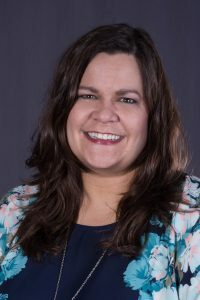 A native of Granville, Ohio, Michelle came to Asbury as a student in the late 90s and is a proud member of the Seeker class. She quickly fell in love with the school and the small town she now calls home. After earning her degree in French and missions, she spent several years working in customer service management and running her own home-based child care business. She returned to Asbury in 2011 as an Academic Records Specialist in the Registrar’s Office where she enjoyed working one-on-one with the students. Her attention to detail and love of data led her to her current position in Development Services in 2013. Michelle has three teenagers at home and spends her free time volunteering with their band program at the local high school.